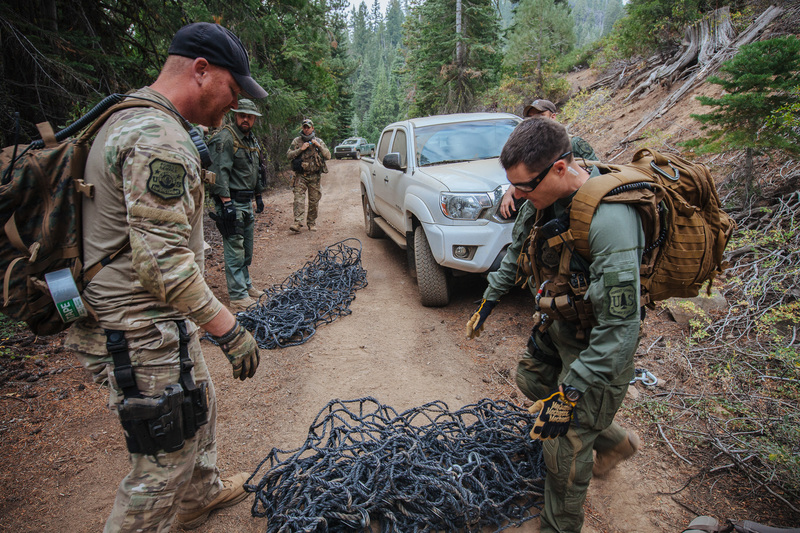 A law enforcement team made up of U.S. Forest Service, Fish and Wildlife and police prepare to carry gear used in reclamation out to a cleared grow site. During the growing season, swat teams of law enforcement work daily to bust grows and return with researchers to clean them up. Despite a concerted effort, teams can only reach a fraction, roughly 30 percent, of grows on public land.